Everyone loves the creamy cheesiness of a grilled cheese sandwich. April 12th is National Grilled Cheese Day and what better way to celebrate the buttery, crunchy and cheesy goodness that is so enjoyable than a delicious recipe or two? To celebrate National Grilled Cheese Day, I’ve put together two simple and delicious recipes that you can enjoy on this marvelous occasion. You can even have one of each for lunch AND dinner. Don’t worry; you’ve entered the no judgment zone. As a busy mom, meals that are wholesome and tasty often become staples in our weekly menu. Grilled cheese can please almost everyone and is versatile enough that you can add ingredients that will tantalize any palate – from the most simple to the most sophisticated. Over the years, we’ve expanded our grilled cheese recipes and pairings. When we pair it with a bowl of soup, well, us parents hit a home run. There really isn’t anything better than dipping an ooey, gooey grilled cheese into tomato soup–it’s mouthwatering! My first grilled cheese recipe is one that we ALWAYS make. The girls are gaga over cheese and bacon, and are obsessed with avocados. We usually serve it with a bowl of creamy tomato soup and the girls always clear their plates. 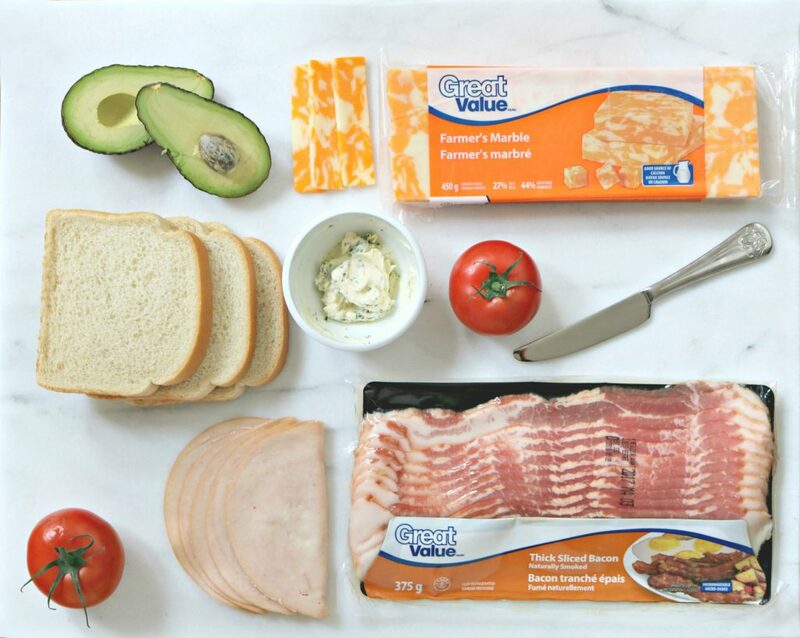 This grilled cheese is slathered with garlic butter and the creamy Great Value Farmers Marble Cheese holds the turkey breast, tomato, avocado and Great Value Bacon together. Serve it with your favourite soup and you have a fantastic meal. Delicious grilled cheese made with buttermilk waffles, freshly fried chicken or ready-made rotisserie chicken, cheese, bacon and served with spicy maple syrup. Heat oil in frying pan until bubbling. Take a chicken breast and tenderize with a mallet. Flatten it as much as possible. Prepare egg and cream egg wash by mixing egg and cream together. Dip chicken breast and coat it in the flour mix. Re-dip chicken breast in egg wash and toss in flour again. Place chicken breast in oil and cook until golden brown and evenly cooked. From the short edge of a 450 g cheese brick, use a cheese slicer or vegetable peeler to thinly slice 8 pieces of cheese, each about ¾” wide by 3-½” long. Place 4 slices of cheese on 1 waffle. Place rotisserie chicken on waffle, remaining cheese and second waffle. Melt butter in a large skillet over medium-low heat. Cook, covered, until cheese is melted and waffles are golden, about 10 to 12 min, flipping halfway. Serve warm with spicy maple syrup. Total time is based on using the ready-made rotisserie chicken. Fried chicken is optional. For a perfect breakfast grilled cheese, swap the chicken for 2 to 4 slices of Great Value Bacon and top with a sunny side up egg. My next recipe brings my love for the southern dish of chicken and waffles together with grilled cheese. Whenever we travel, chicken and waffles is a dish that we make a point to have. You’d be surprised how much the recipe differs wherever you go! With that said, Darasak and I have enjoyed many chicken and waffle variations. 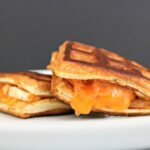 We enjoy making it grilled cheese-style with a freshly battered and fried chicken breast sandwiched between two buttermilk waffles, but during the week breading and frying your own chicken can get a bit time-consuming. To make things easier for ourselves, we pick up some ready-made rotisserie chicken at Walmart and use it instead. There’s no cook time, it is just ready to eat! I included the prep for the fried chicken if you so choose to go that route. You can pick up the eggs, flour and breadcrumbs at Walmart too, so you’re covered. Of course, there’s creamy and delicious Great Value Farmers Marble Cheese and Great Value Bacon holding it all together. Dip it in spicy maple syrup and you’re golden. There you have it, folks, these fun and family-friendly recipes feature two Great Value products, brick cheese and naturally-smoked bacon. These ingredients will help you put a creative spin on this classic sandwich. Not only do these recipes reinvent the standard grilled cheese, they let you experiment for less, with the variety of Great Value Cheeses retailing for under $5 (450 g brick) and Great Value Bacon for under $3 (375 g). You really cannot go wrong! Make sure you head over to your nearest Walmart location to check out the Great Value selection and to get everything you need to re-create these recipes and celebrate National Grilled Cheese Day! Note: This post is sponsored by Walmart Canada as part of the Walmart Great Value Grilled Cheese Day program. In exchange for this post, I have received perks in the form of products and/or compensation. All opinions on this blog are my own. Aww yeah. If anything deserves its own day, it’s the grilled cheese. I make a four cheese grilled cheese that should be illegal! These sandwiches look great. They’re so much better than the boring grilled cheeses I make at home. So easy to shake up. Yes, I love adding the extras. YUM!!! I would never have considered trying chicken and waffles before but you know in a grilled cheese it just makes more sense! It looks great! It is DELISH. Hope you give it a try. These recipes look amazing! 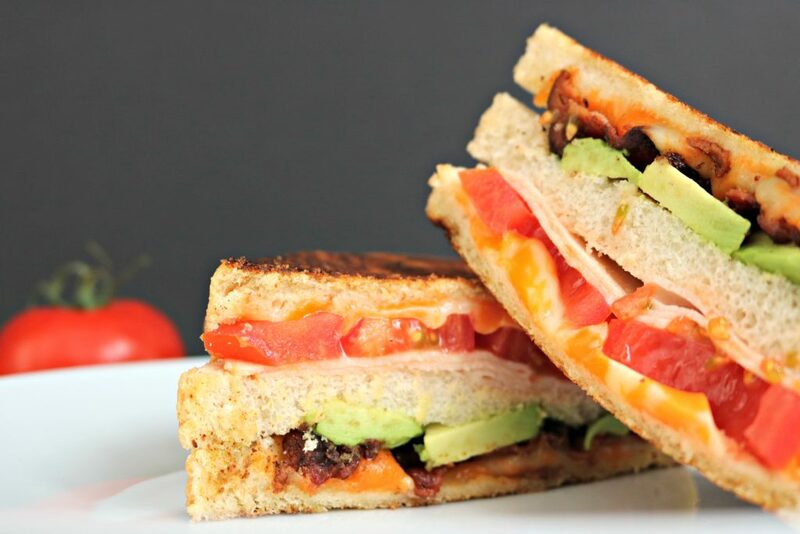 I am all about a good grilled cheese sandwich and typically keep mine simple with avocado and tomato. Well at 11pm I really shouldn’t be drooling as much as I am. This sandwich looks so darn good! Oh, I had no idea there is a special day for my favorite grilled cheese. I would love to try all the recipes. Give me some gluten free bread and I’ll be grillin’ for the win! I love a good sammy! YES, head to Walmart to get everything you need. Oh my! I love a good grilled cheese but this takes it to new levels. Everything is better with bacon! I have to completely agree! We love Grilled Cheese in our house! This sounds like a yummy way to cook up Grilled Cheese! Now, you did the thing with this grilled cheese sandwich! I never thought to add avocado to it and now I am going to have to try it out. Hehe, the bacon makes a big difference too. My little guy asks for grilled cheese quite often. I hate to make me something different, but am growing tired of traditional grilled cheese. These new alternatives will make my cheese eating days much happier! YES, I am glad they will help. I’ve never had grilled cheese with avocado yet. How come I didn’t think about that when in fact I so love avocado?! 🙂 Thanks for these recipes! Avocado is AMAZING. Give it a try! Saving this! 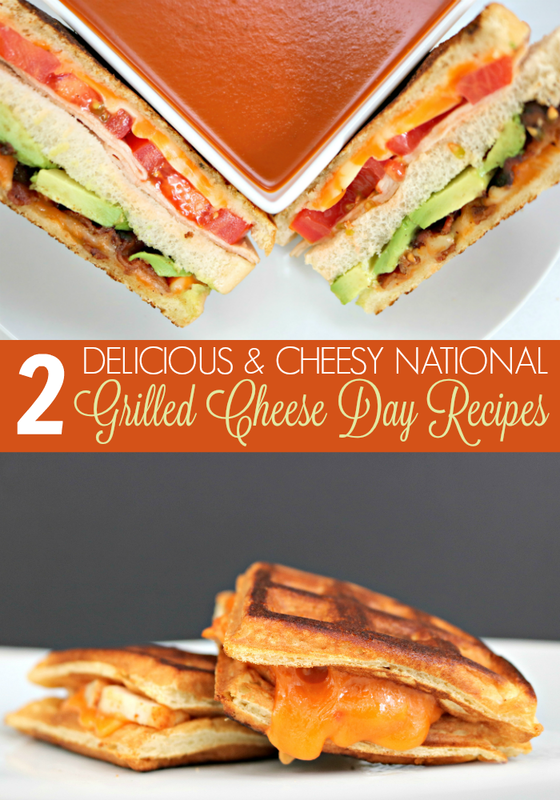 I LOVE grilled cheese sandwiches and need to try some of these! IT IS SO GOOD. Hope you like. Thanks for the recipes they look delicious ! My pleasure, hope you enjoy them. OMG sign me up for the chicken and waffle grilled cheese sandwich. That is beyond innovative and I bet it taste delish! It is pretty amazing, girl. Sweet, hope she tries them out! I have made an open faced sandwich with the cheese and bacon to have less bread. Good combo. Mmm, so good! What a great idea. Thanks i really needed to change up my grilled cheese sandwiches and i did this morning and boy they sure were a hit.Have a great weekend !! This is awesome! I am so happy you enjoyed yours! I am in total support of this National day! OH my YUM! I love grilled cheese sandwiches! I didn’t know there was such a day! Hehe, it is a glorious day! 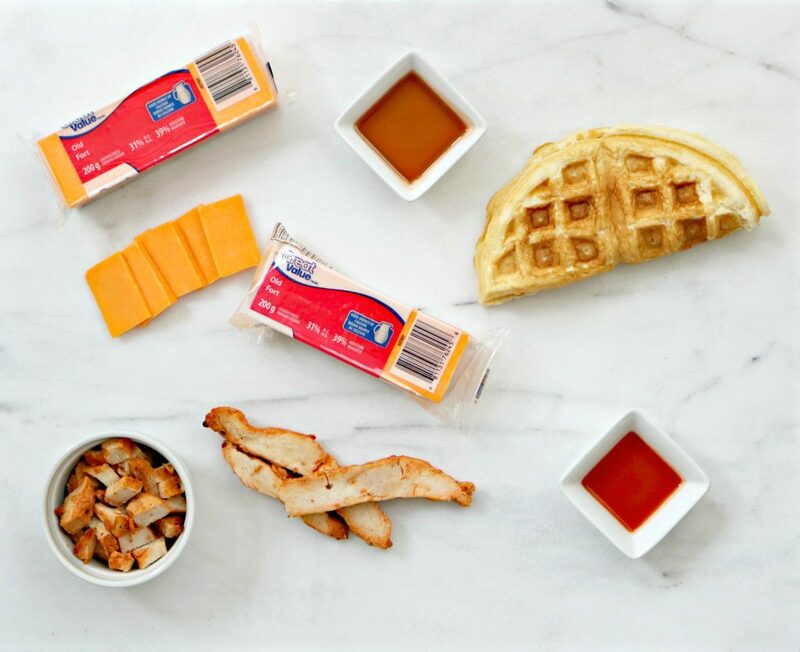 Oh that recipe sounds amazing… Cheese and spicy maple syrup, a sweet and salty mixture, oh you are making me hungry. I can’t wait to make this! I love the syrup! Makes a big difference. I love, love, love a good grilled cheese sandwich. These all look delicious. I will definitely be giving these a try. Oh these rock! I love a good grilled cheese recipe. 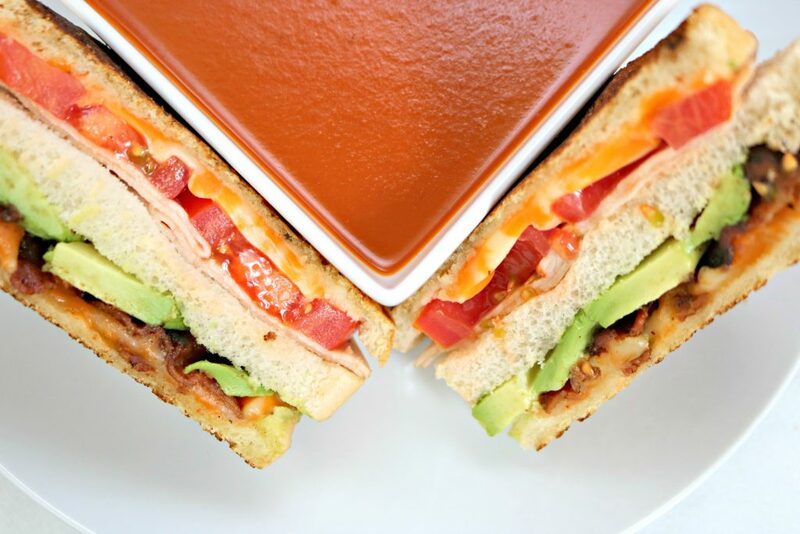 The turkey, bacon and avocado club is looking especially good! Give me all the grilled cheese! It’s one of my favorite weekend lunch ideas!! We love it during the week too! So easy. These all look amazing. I will have to try the Chicken and Waffle recipe this weekend. I am sure it will be a hit. Holy moly! I’ve never seen grilled cheese sandwiches like these before. Om nom nom. I had no idea a holiday like this one existed. Grilled cheese is one of my favorite sandwiches! I like to make mine with swiss and ham with a dab of dijon. Yum! There is a holiday for everything! Mmm, dijon. Grilled cheese is my favorite sandwich! I love how it can be customized so easily with many different toppings. Mmm, that is delicious. A favourite here too. Oh there is nothing more comforting than a grilled cheese! I am going to try your recipes. So perfect for a quick meal! So warm, crispy and creamy! Very tasty looking sandwiches. I will definitely have to try making these at home. Both of these look so good. I wouldn’t know which one to try first. We love grilled cheese. …this is some great inspiration for lunch today! I’ll be surprising my kiddo after summer camp with a new version of her favorite sandwich! I am a HUGE grilled cheese fan! However, my fiance hates it. Oh well, more for me! We made both for lunch today as the kids can never decide which one they want,so delicious and always a hit ! !